Car Show to Benefit Kimochi Inc.
You are at:Home»English»Nor Cal News»Car Show to Benefit Kimochi Inc.
SAN MATEO — San Francisco-based Kimochi Inc. will hold its second annual Show ‘n’ Shine Car Show on Saturday, Sept. 15, from 10 a.m. to 2 p.m. at College of San Mateo, 1700 W. Hillsdale Blvd., San Mateo. 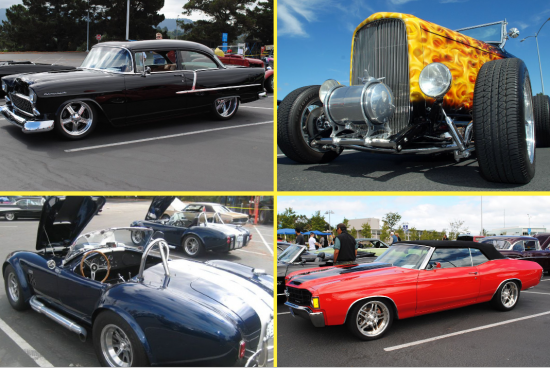 The family-friendly show will feature American cars from 1973 and earlier, from classics and street rods to muscle cars and trucks. Awards will be given. Admission is free for spectators. Food will be available for purchase. Proceeds will support Kimochi’s programs and services for seniors. For registration and sponsorships, contact Kimochi at 1715 Buchanan St., San Francisco, CA 94115, (415) 931-2294, or [email protected] For more information on Kimochi, visit www.kimochi-inc.org.